Dynaspede was started in the year 1978 with Mechatronics as its core competence. A wide variety of electro-mechanical components and sub-systems including electronic variable speed drives, torque clutches, brakes, gear transmissions, rotary feeders, electronic sensors, electrical automation control panels, custom built special purpose test benches, transformers, servo stabilizers and digital motion control products have been developed and manufactured. 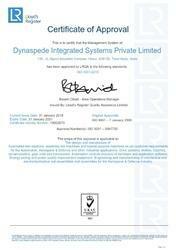 Dynaspede is certified with latest QMS standards - ISO9001:2015. Presently, Dynaspede encompasses a complete range of capabilities for designing and manufacturing complex machines and integrated systems from concept to installation. We export 30% of our products to all over the world. Dynaspede has offices across India managing its sales and service network and extending effective pre-sales and after-sales to its customers. The strength of Dynaspede lies in its ability to synchronise skills in various disciplines of engineering and offer reliable solutions both in Design and Manufacture for its partners and customers. Dynaspede was started in the year 1978 with Mechatronics as its core competence. A wide variety of electro-mechanical components and sub-systems including electronic drives, clutches, brakes, gear transmissions, electronic sensors, and digital motion control products have been developed and manufactured. 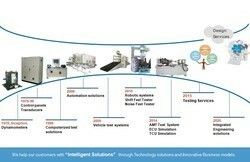 Its Electro-mechanical system engineering capabilities have grown over the years to include customised solutions in Machine assembly, Robotics and Plant engineering. 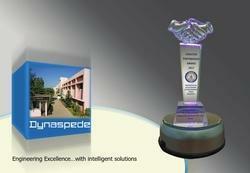 Dynaspede is funded by some of India''''s largest private equity funds, Kotak Mahindra and SIDBI. Technology development is sourced through a combination of affiliations with specialised institutions of higher learning and investments in boutique research and development outfits. Presently, Dynaspede encompasses a complete range of capabilities for designing and manufacturing complex machines and integrated systems from concept to installation. Dynaspede specialises in the design and manufacture of electro-mechanical components and sub-systems for a wide spectrum of industries in the Mechatronics business sector. 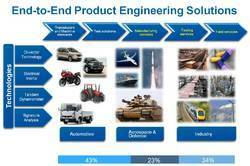 It has extended service offerings in Engineering design, Product development, Prototyping and Testing. Dynaspede also offers contract manufacturing facilities and distribution services for its partners through its network. Dynaspede''s manufacturing facilities are distributed across multiple locations supported by a mature and effective vendor network. Our manufacturing capabilities include Sheet metal fabrication and finishing, Tooling and Machining, Electronic assembly and Precision engineering. 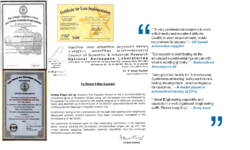 CREATIVE PARTNERSHIP AWARD by Aeronautical Development Establishment under DRDO, Bangalore. 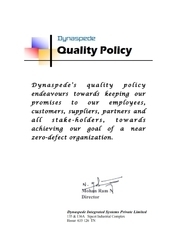 Dynaspede’s quality policy Endeavors towards keeping Our promises to our employees, Customers, suppliers, partners and all stake-holders, towards achieving our goal of a near zero-defect organization. Since the incorporation of our business, we have a sound infrastructure unit at our premises. Our infrastructure unit is facilitated with advanced production machines which are operated by our skilled trained team. The maintenance work of machines is done timely as per the requirement. We make sure that, materials for manufacturing these products are top in quality and examined by experts. We have in-house Metrology laboratory to ensure calibrations of our measuring instruments. Mr. C Balgopal founds Integrated Systems as a product company with Eddy current drives as the staple product. 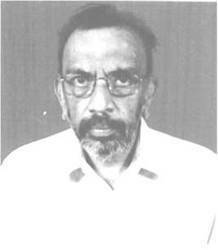 Later incorporated as Dynaspede Integrated Systems (P) Limited in 1981.